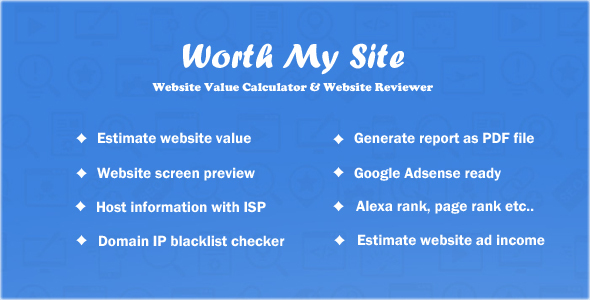 Worth My Site – Website Value Calculator gives a complete information about your website, our unique algorithm will calculate and estimate the daily visitors, pagerank, traffic details, alexa rank, google page rank, WHOIS info, host information and social stats etc.. 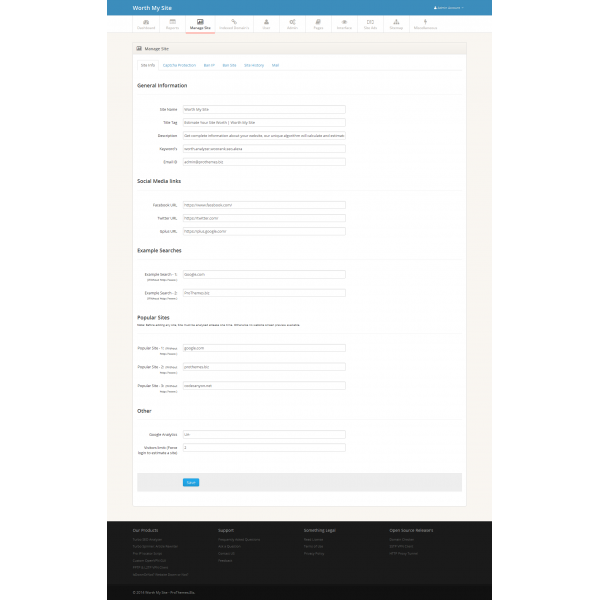 The reports can be viewed not only on the site, but they can also be downloaded as PDF file. - Advanced statistics counter for Indexed Domians / Users! 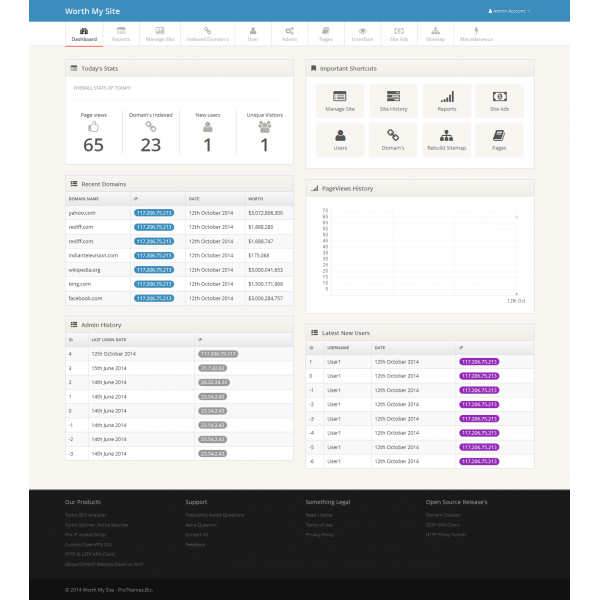 - SEO settings such as Site name, Site slogan, Site meta description etc..
- Support blocking of specific domains. Note: Some feature are disabled for security reasons. 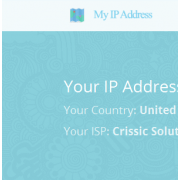 Also site hosted on shared hosting. so don’t expect faster load. SEO friendly URL gives better keyword ranking and user friendly analyzing system. 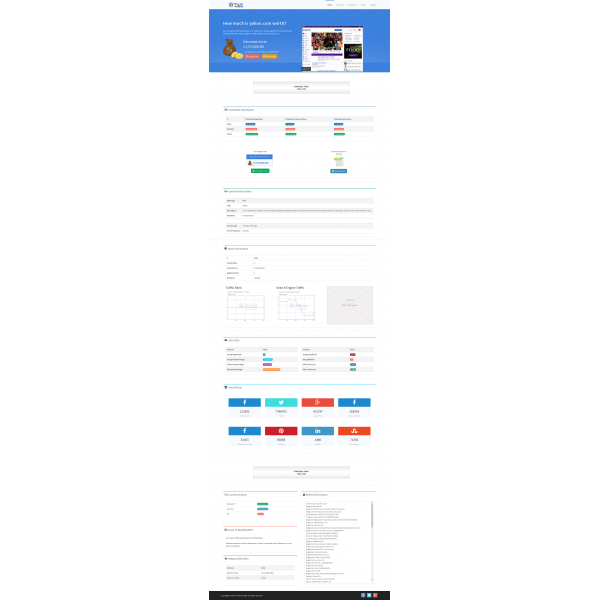 XML Sitemap also helps to index all analyzed site with popular search engines. 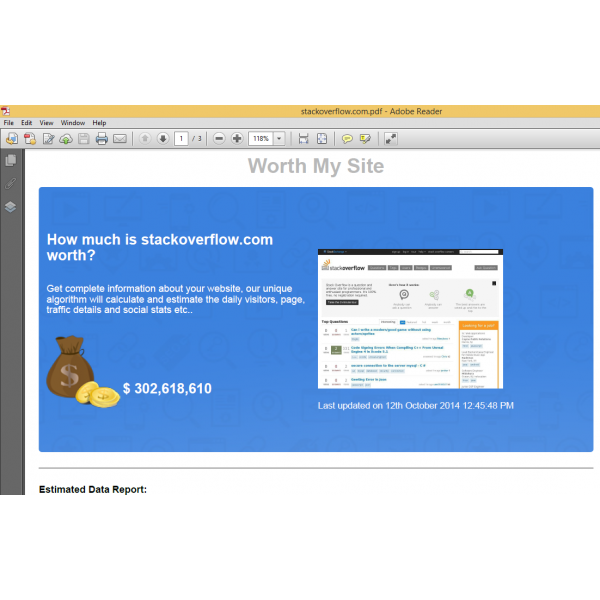 You don’t need to spend bucks for generating website screenshot. 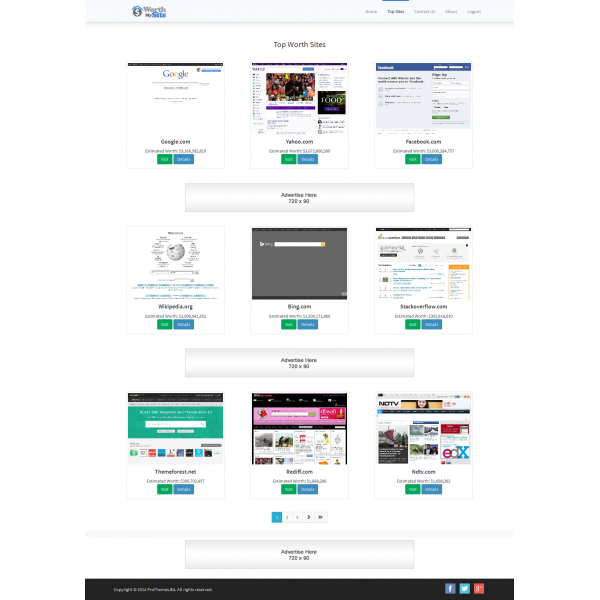 We providing 99% uptime guarantee free website screenshot service, for free of charge. - No advanced technical knowledge required. - Also only few seconds and clicks are needed to install the script.